If you’re trying to decide between a heat pump or a furnace, it’s important to compare and contrast the benefits to see which one will best accommodate to the needs of your household. To differentiate between the two, most furnaces generate heat by burning a particular fuel. This can include oil or gas. However, some furnaces are electric. Heat pumps on the other hand take the heat from area and move it to another area. If you’re trying to decide between investing in a heat pump and a furnace, one of the first things you want to consider is the climate of the region in which you live in. Depending on where you live, your choice may change. 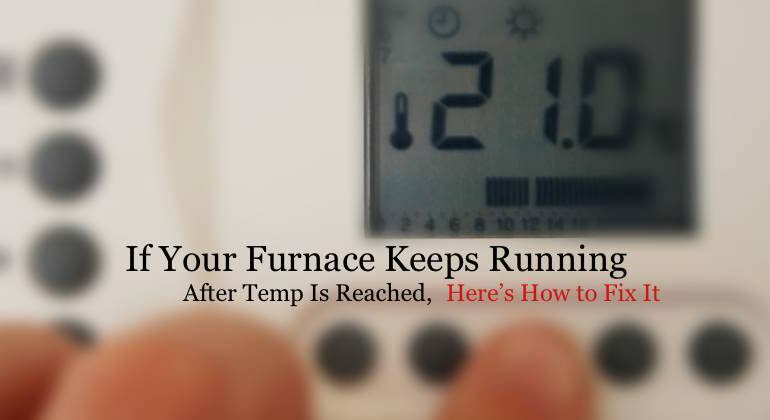 Generally, if your region’s average winter temperature is 50 degrees Fahrenheit or lower, a furnace is your best bet. However, if your region’s average winter temperature is above 50 degrees, a heat pump is a better choice. Most heat pumps work poorly below 50 degrees, but there are heat pumps now that use a hybridized approach which perform much more effectively. It does this by taking an electrical strip heat source and integrating it into the unit. These heat pumps are great for people who live in an area that’s on the line between the two temperature categories. It’s important to mention that this rule-of-thumb doesn’t always apply to every situation. In fact, more and more homeowners are veering away from this type of thinking. Above all, it’s best to read customer reviews and other testimonials before you invest in a particular model, brand or system-type. Generally, electric heat pumps tend to cost more than gas furnaces. However, one thing you need to consider is whether or not you’ll a need backup heat source. On the coldest nights, heat pumps sometimes require a backup heat source. This is typical in areas like northern California. 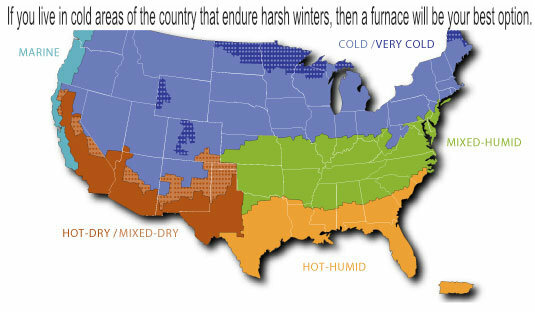 In fact, a good portion of homeowners that live in these climate zones have both a furnace and a heat pump installed in their home. Gas furnaces on the other hand can continue to produce heat even at the lowest temperatures without any help. They are extremely reliable even at the most negative temperatures. This is why furnaces are used more in places where winters are very harsh. The price tag for your average heat pump can run anywhere between $2,000 to $8,000. This includes installation. However, this price depends a lot on the brand and the features built into it. Now, investing in a geothermal pump will on average will cost more. In fact, they usually begin at $2,500 and can go up to $7,500 or even more. Geothermal pumps are built conveniently underground and tend to be more reliable than pumps that are built above ground. Now, as far as gas furnaces, the price for a unit can range anywhere from $1,500 to $7,000. The less expensive options will generally have less features. Like mentioned above, the price is usually based on the specifics of the device like the size of the unit, the parts inside of it, the brand and any valuable rebates or warranties that might come with it. Another thing you need to consider when deciding between a heat pump and a furnace is how you plan to cool your home during the hot, summer months. A heat pump can cool your home in the hot summer in addition to warming it in the winter. A furnace will only provide heat. That means you’ll have to invest in another system. This is definitely something you want to figure out before making a purchase. 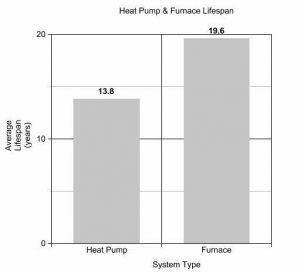 Largely, heat pumps are much more energy efficient than gas furnaces. In fact, heat pumps can also can deliver up to 4x more energy than what they in fact eat up. However, homeowners that live in a region where the average temperature fluctuates from extremely hot to bitter cold though the different seasons will see a decrease in the efficiency of their system. To determine the cost of running each unit each month, there are several factors that you have to factor in. These include the size of your home, how well your home is insulated, the region in which you live in and the performance of your unit. Another major factor is the electricity and gas prices in your area. One of the things that makes comparing and contrasting the cost of running these two units difficult is because they both are measured in different units. Gas companies charge you in units of therms and electrical companies charge you in units of kilowatt-hours. When your furnace breaks down, the average price to get it back up and running is around $250. Heat pumps on the other hand have an average repair cost of $343. It’s important to mention than this is simply the average price. There are a lot of variables to consider like the size of the unit, the brand and what the repair will actually consists of. Maintaining your heat pump will involve of doing things like cleaning and/or replacing the filter, cleaning the wheel in the blower, making sure all the electrical connections are tight and inspecting the insides of the unit for burned connections. If you see and burned connections, it’s best to replace them as soon as you can. When it comes to furnaces, you’ll also want to clean and/or change the filter regularly. However, with a furnace, you’ll want to do this every 30 days. In addition to this, you’ll also want to inspect the inside of the unit for loose and burned connections. Other things you’ll also want to do include removing the air vent covers and cleaning them with a moist cloth and vacuuming the vent opening.